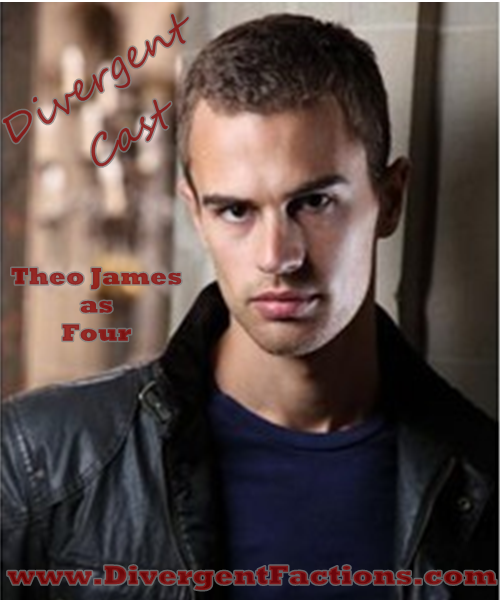 The Divergent Faction Quiz is about to begin. You walk into a room you've never been in before. 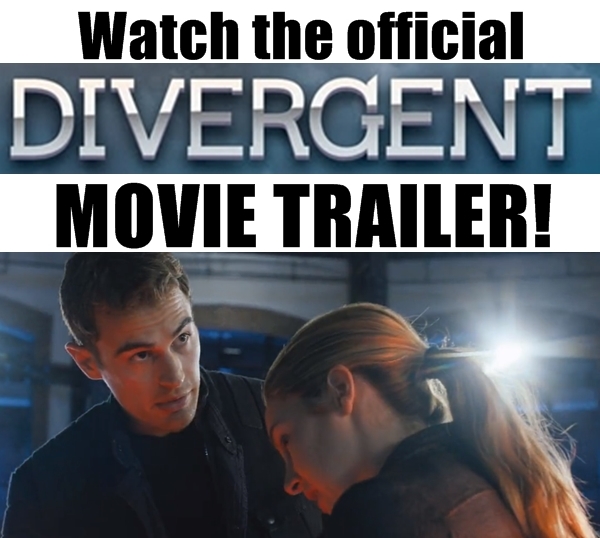 These rooms are used only for the Divergent Aptitude Test. The ceiling glows with light and mirrors are covering all of the inner walls. A Dauntless woman named Tori introduces herself and leads you to the center of the room where a chair that looks like a dentist would use sits with a machine next to it. Tori places electrodes on your hands and forehead and then attaches wires to herself and the machine. She hands you a vial of clear liquid to drink. "What is it? What's going to happen?" you ask. "Can't tell you that. Just trust me." 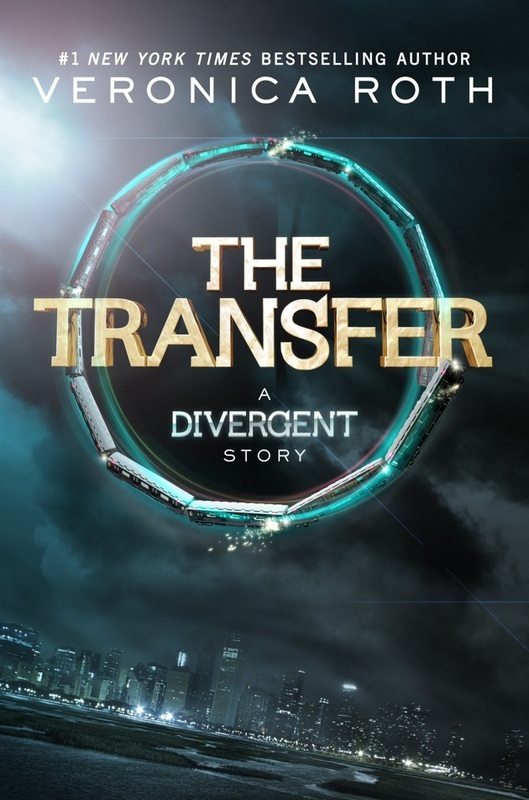 Take the Divergent Faction Quiz online below to get your results. Then you can join one of the factions and share your results with your friends. Have them take the test too to see what faction they would be in! 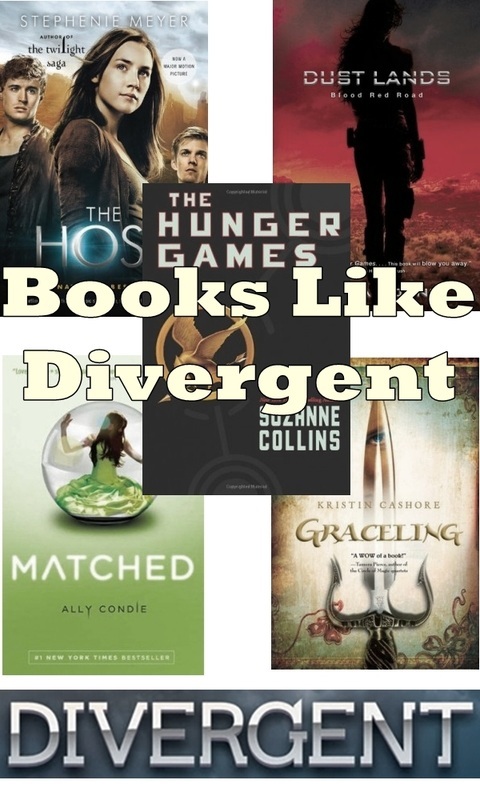 Now that you've had your Divergent Aptitude Test, you must choose a faction to join. 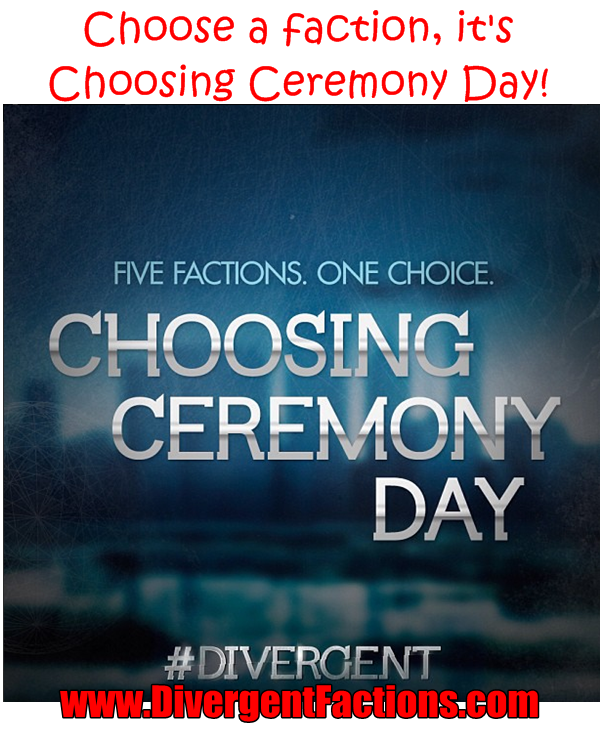 Remember, your Divergent faction quiz results do not have to dictate which group you decide to make your new family. Choose with your heart and remember our motto, Faction Before Blood. If the quiz that you took above showed that you were best suited for Abnegation, that means that you are a selfless person who puts others ahead of you. -Do you put others' needs ahead of your own? -Can you forget yourself in order to help others? 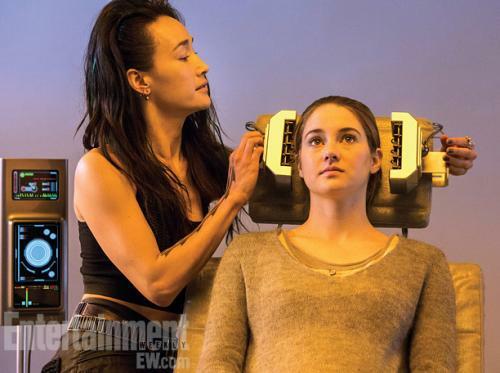 If so, join the Abnegation faction by clicking the symbol on the left. If your faction aptitude test showed that Amity was the faction for you, it shows that you are a caring and peaceful individual who only wants what's best for everyone. -Do you tend to stay out of fights because you find them silly? -Is a carefree and fun life the one for you? If you'd like to join Amity, click the Amity symbol on the left. Did your faction test results show that you are suited for Candor? Individuals that score high for Candor tell the truth as they feel that being deceitful is wrong. -Does lying make you feel awful inside? -Would you prefer that others always tell you the truth? Click the Candor logo on the left to join this honest faction. Tell Twitter the truth.. you are Candor! Having a Dauntless aptitude test result shows your love of adventure and the fact that you have a lot of courage when making decisions, despite the consequences. -Do dangerous adventures get your blood pumping? -Would you be willing to put yourself in harm's way? If you're brave enough, click the Dauntless icon to join this faction. Post to Twitter that you're Dauntless... unless you're afraid! If you received the Erudite faction as your aptitude test result, you use your intellect when solving problems and value knowledge above all else. -Do you enjoy learning new things? -Do you feel that knowledge is power? To join the Erudite Faction, please use the Erudite symbol to enter our page.